Selvaraghavan-Simbu's 'Kaan' First Look Today! Home » Catherine Tresa | Kaan | Selvaragavan | Simbu | » Selvaraghavan-Simbu's 'Kaan' First Look Today! 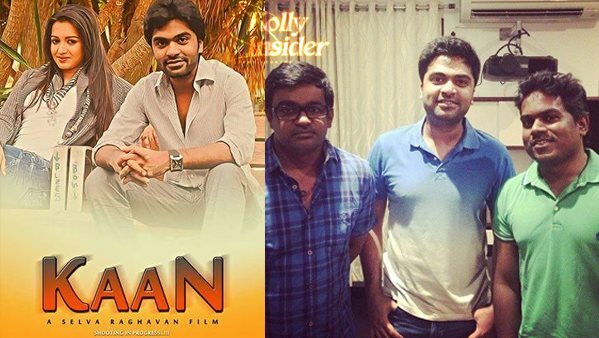 Simbu-Selvaraghavan's upcoming project 'Kaan' is all set ready for its first look. 'Kaan' first look will be released today, June 17. Director Selvaraghavan announced this happy news in his Twitter handle. Director Selvaraghavan tweeted , "#KAAN starring @iam_str first look poster out on Wednesday June 17th at 5pm. Hope you like it. #KAANisComing"
'Kaan' brings back the hit combo of Yuvan and Selvaraghavan together after 10 years. 'Kaan' stars STR,Taapsee and Catherine Teresa in lead roles.